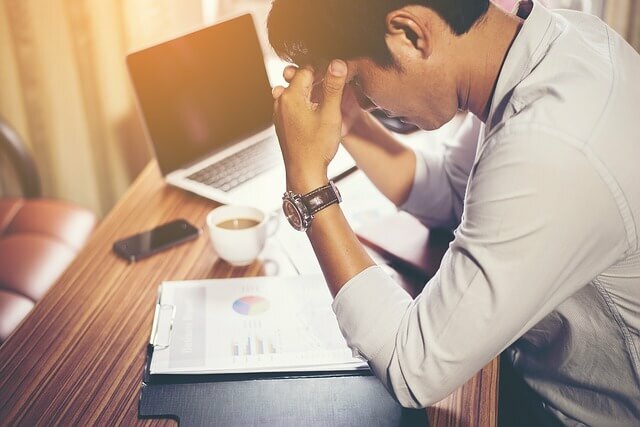 Stress Awareness Month is held every April and has been since 1992, it is aimed at raising the publics’ awareness of the causes of the modern stress epidemic and how to deal with it. Everybody gets stressed sometimes but in some situations this stress can spiral out of control and cause real problems with your life. Not only does stress affect your mental health it can also lead to a number of major health problems for example heart attacks. Stress is a natural physical and mental reaction that we are all meant to have, it is there to protect us, your body responds to stress by releasing hormones and increasing your heart and breathing rates. In this short term this is meant to help you cope with tough situations. Back when humans had to run away from saber tooth tigers and other dangerous animals stress was the trigger which would make the body to respond to such situations to help you to survive. Now stress is triggered by pressures of everyday life at work and at home as well as illnesses and traumatic events. If your stress levels are raised for longer than needed for survival then chronic stress develops which can lead to a range of health problems. Symptoms of chronic stress include irritability, anxiety and depression and some people experience headaches or insomnia. - Heart disease – Stress increases heart rate and blood flow in the body, this is designed to supply more oxygen to the brain, muscles and other organs of the body in times of stress to help you cope. It also causes the release of fats like cholesterol and triglycerides into the blood stream. This means that people who are highly stressed are more likely to develop high blood pressure and suffer from heart attacks and strokes. - Asthma – Many studies have shows that stress makes asthma worse. When stressed you breath faster to increase your oxygen supply (as mentioned above) however if you suffer from respiratory conditions such as asthma this makes it harder to breathe and could trigger and asthma attack. - Diabetes – Stress causes your liver to produce extra blood sugar (glucose) to help boost your energy, the body then reabsorbs any unused blood sugar. In times of chronic stress your blood sugar levels stay high and this puts you at risk of developing type 2 diabetes. It can also lead to unhealthy eating habits and excessive drinking which can also cause diabetes and obesity. Stress causes higher levels of the hormone cortisol, which increases the amount of fat which is stored specifically in the abdomen, this is significant because excess abdomen fat poses a greater health risk than when it is stored in the legs or hips. - Digestion problems – Stress does not cause ulcers, however it can make them worse. The rush of hormones, rapid breathing and increased heart rate can upset your digestive system making it more likely for you to experience heartburn or acid reflux. You might also experience nausea, vomiting, diarrhea, constipation or stomachaches. - Depression and anxiety – Most people will associate chronic stress with higher rates of depression and anxiety. A survey of recent studies showed that people who had stress related to their jobs had an 80% higher risk of developing depression in a few years than those with lower stress jobs. Sometimes this can be dealt with using at home relaxation techniques however some people require medical intervention or counseling to help them cope with their depression. - Breathe deeply – not only does breathing deeply calm you down but it also slows the physiological responses to stress. You can do this anywhere, any time… if you start feeling stressed breathe deeply and count to 10, while you do this think about your muscles relaxing starting at your jaw then relax your shoulders, work downwards until you feel calm. - Make a change – sometimes changing something small can make a big difference, like clearing the clutter off your desk. Or you could do something bigger like take a well deserved holiday! -There are some pro-active ways you can combat stress long term, for example regular exercise. Exercise releases feel-good hormones which means that people who exercise tend to have better moods and more energy than those who don’t. It also helps lower the risk of many of the health problems listed above! Meditation or yoga are also good stress meditation techniques which focus on relaxation, deep breathing and mindfulness.